Contact Emily@nwcider.com for details on getting your sponsorship started. There are a wide variety of opportunities for small and large sponsors beyond visibility to the public, media, and food and beverage industry leaders. Sponsors receive local and national recognition via our website, on our social media, opening of the Cider Awards Party signage, at tasting events, and on maps and other printed materials. 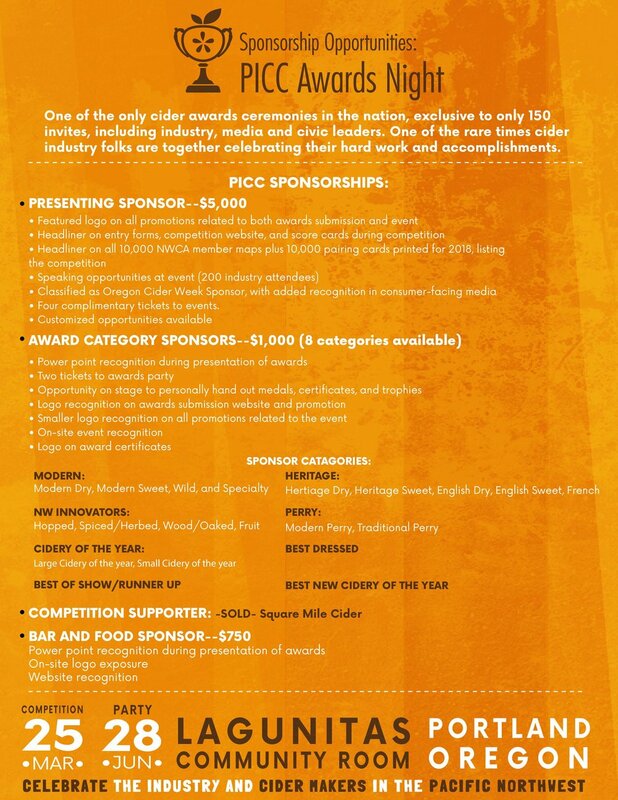 Sponsoring NWCA makes a strong statement to the local and national cider community that you support the pioneering spirit, creativity, and quality of Northwest cider. Your brand will be aligned with these values. Sponsorships fund all production, marketing, design, and promotional costs for the Association. It is our sponsors who make our events and Cider Weeks possible.